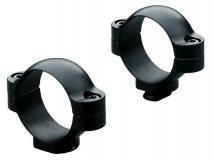 These 30mm matte finish rings are engineered to fit larger 30mm scopes and match up with one piece and two piece bases. Available in medium, high, super high. Also available in Extension Rings.